Gorilla Budgeting. 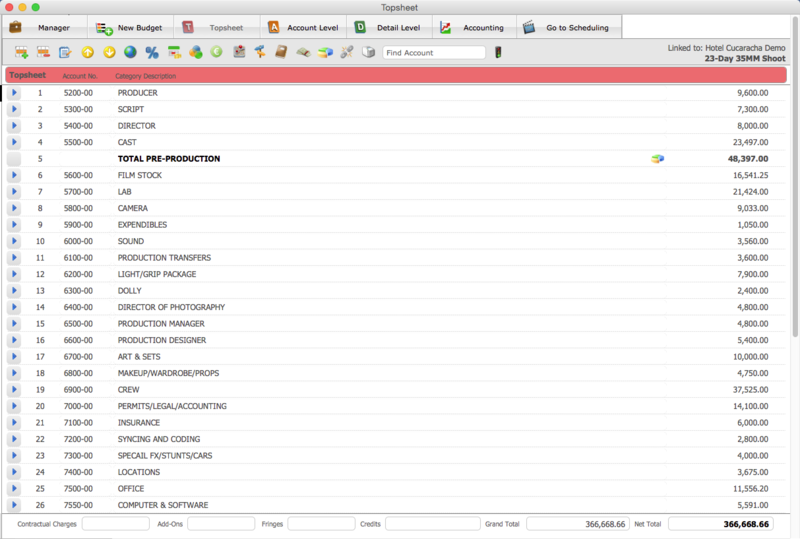 Everything you need to budget your film. 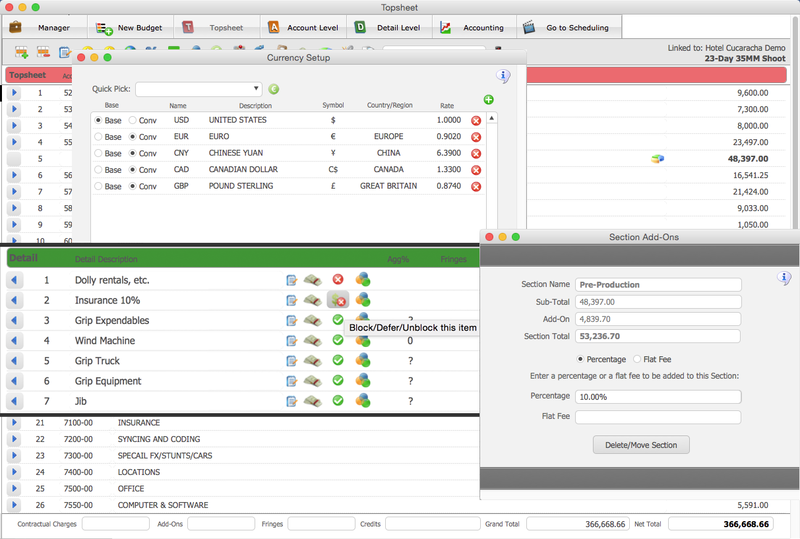 Makes it easy to organize your budget. Create globals for rates and amounts. 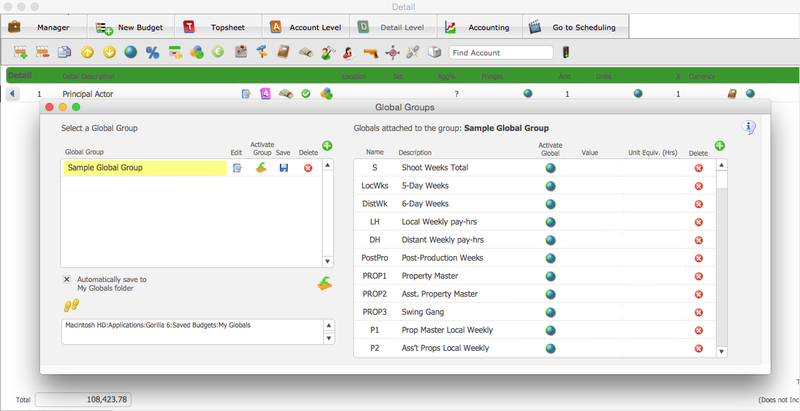 Save globals in groups and re-use in other budgets. multiple currencies within one budget. Dozens of budget samples and templates from top studios & independent production companies for features, documentaries, short films & more. 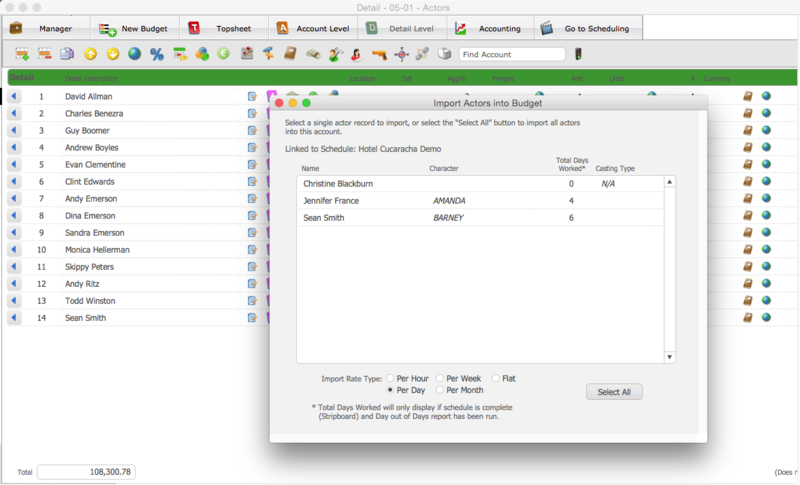 Track expenses against your budget and run budget balance reports to stay on top of spending. 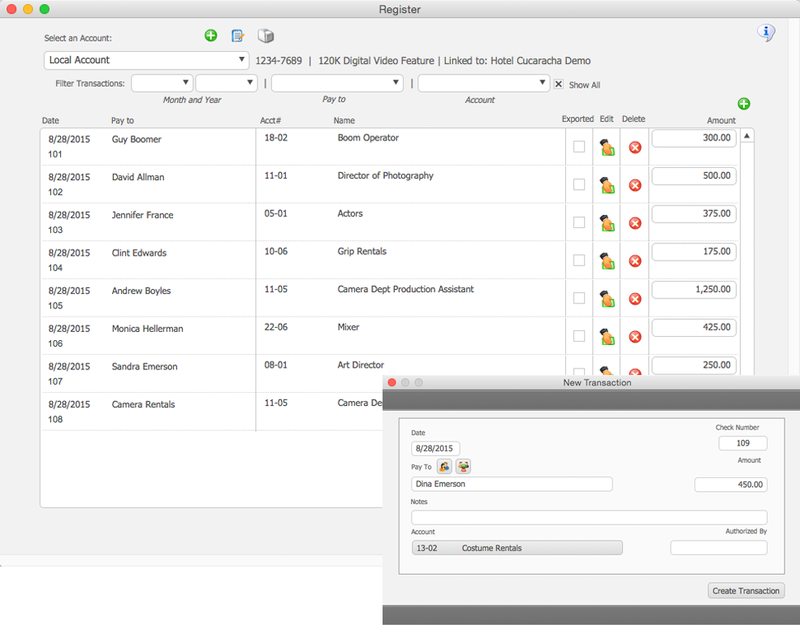 Enter tax credits for different locales, cities & states and attach credits to groups. 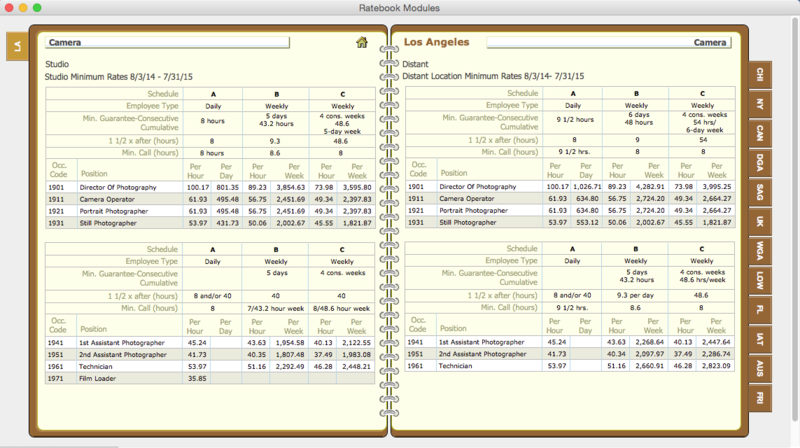 Integrate with The Gorilla Ratebook and gain access to thousands of industry union labor rates. 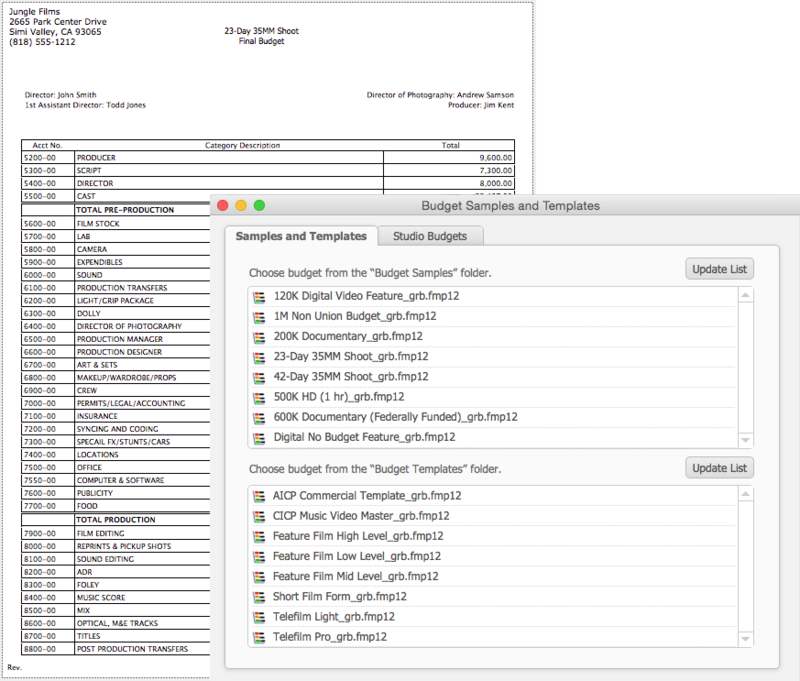 to creating globals & fringes to exporting a budget to PDF.